Today is an arrival day in the Kenyan capital, and after passport control and having collected luggage, you will be met by an ORYX representative who will then transfer you to your accommodations for the evening. Here you will meet your host and ORYX Professional Photographer Kirsten Frost, and this evening you will be able to discuss the finer points of the upcoming safari together! From Nairobi, we will be transferred to Wilson Airport, where after we catch a scheduled flight to Lodwar, the largest town in north-west Kenya. There-after, we have a road transfer to camp. This stark region will be our focus for the following seven nights – it is a little visited part of Kenya, and one that is sure to offer some incredible photographic opportunities! Perfectly integrated into the landscape are the eight-en suite safari-genre tents, with spring water showers, flushing toilets and wash basins that lie nestled within the extensive palm grove. Each tent has a unique remarkable varied view of the sandy beach, the lake, Central Island and the distant shoreline. A form of forest and spring are to be found around the camp, and behind the camp lies a cliff which makes for a great backdrop, and sundowner spot as well! 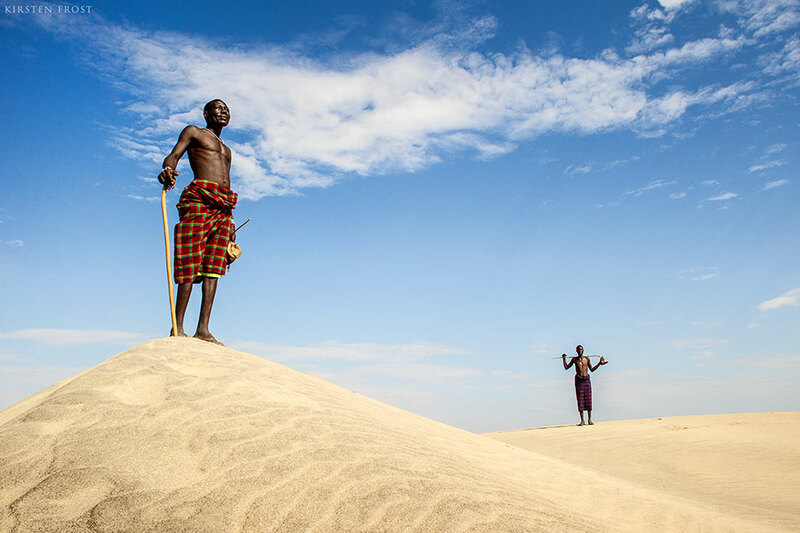 Our camp is a nexus for journeys on and around Lake Turkana, and we will strike out from camp in an effort to get the best cultural photographic opportunities of the Turkana people. The Turkana subsist off a diet of maize meal and meat (eating goat from time to time, while consumption of the flesh of the Zebu is restricted for special occasions). Despite government efforts to encourage the Turkana to eat fish, it is still regarded by many as taboo. The Turkana will also gather seasonal fruit as well while the maize meal, for which they trade. Traditionally, they would live in huts constructed by lashing the palm fronds from the local Doum Palm Hyphaene thebaica to a framework of saplings. However, just like in the adjacent Omo Valley in neighbouring Ethiopia, this way of life is changing quickly, and traditional forms of attire and housing are becoming more infrequent. Like some people’s in nearby Ethiopia, the Turkana have head rests, which are used to keep ceremonial head decorations off the ground. These head rests are also used as stools. Another fascinating accompaniment is the wrist knife, which are used in fighting, and in some instances, for more practical purposes as well. 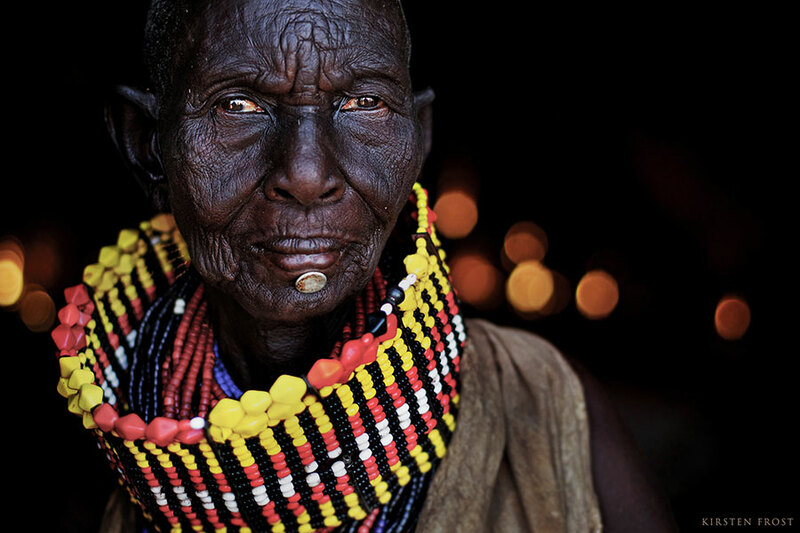 The region is truly a wild ‘off-the-beaten-track’ destination which offers the most amazing opportunities to photograph cultural portraits and people within Lake Turkana’s harsh yet beautiful landscape. An early transfer this morning (approximately 2 hours), heading back to Lodwar before flying back to Nairobi, where this incredible Turkana Photo Safari sadly comes to an end.